In such model of the Earth, a day near the equator will last only 8 hours, and night would have been about 16 hours long. Obviously, this is not consistent with real-world observations. 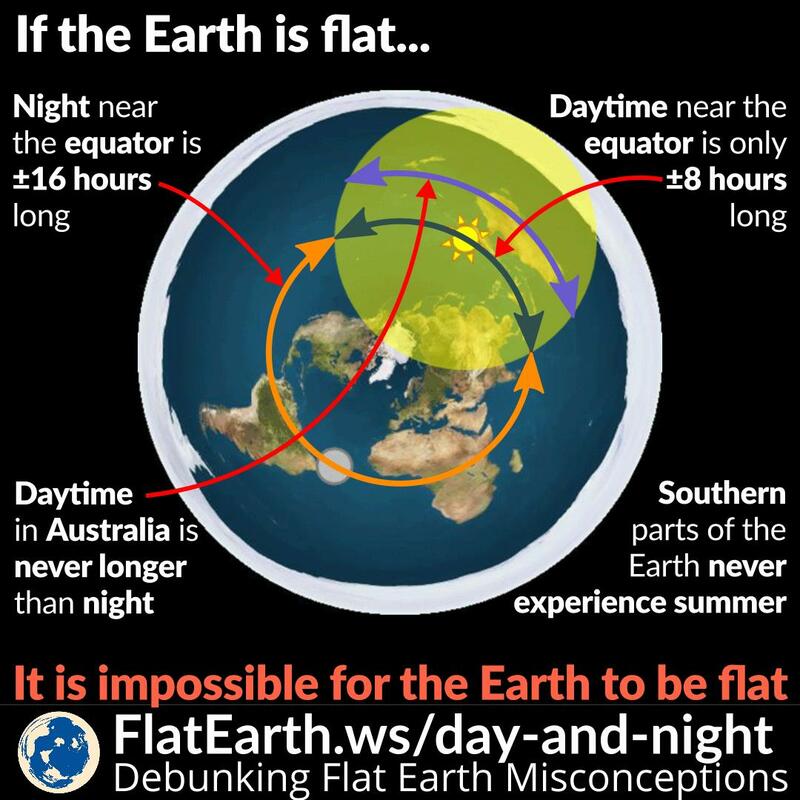 Furthermore, the southern part of the Earth like Australia, New Zealand, South Africa and South America would never experience a day that is longer than the night. And thus, those who live there would never experience summer time. These simple observations are inconsistent with what would happen if the Earth were flat. And the Earth can’t be like what is described by these flat-Earthers, not even close. Rather than answering the question with just another ad-hoc hypothesis that will eventually lead to another objection that needs to be plugged with just another ad-hoc hypothesis, and so on and so forth; it is easier to take the simpler explanation, that is consistent with every single observation: the Earth is in fact spherical.